Merry Christmas! I'm sorry, I just can't wait for the Christmas to come because it is such a wonderful event! Christmas decorations are everywhere and even those limited edition cosmetics with Christmas theme! 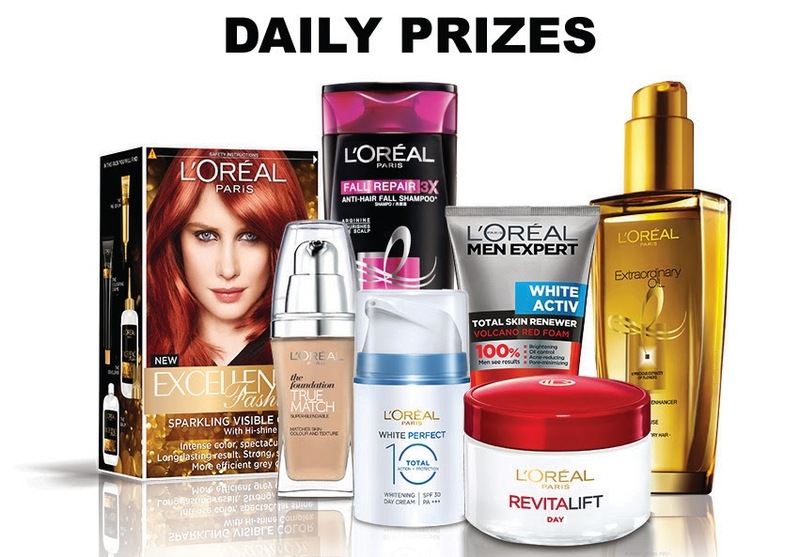 But before Christmas, L'Oréal Paris came out with a contest for their loyal fans! You can now stand a chance to win awesome prizes in daily or weekly basis at www.lorealbeautycountdown.com.my and celebrate Christmas with your loved ones! 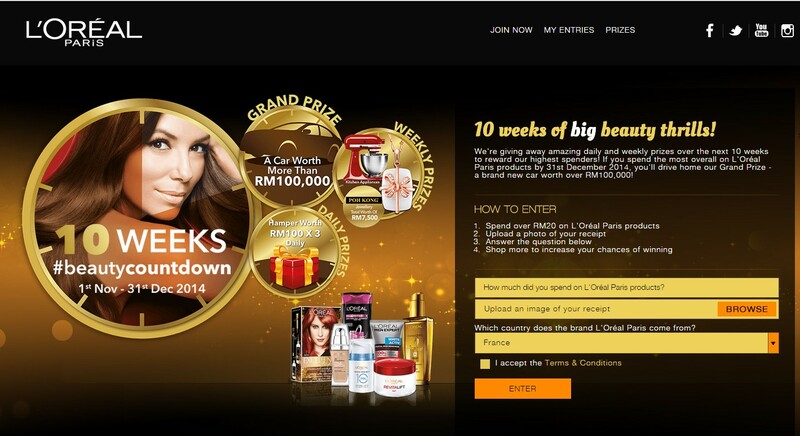 Here are the awesome prizes you could win from L'OREAL Paris Beauty Countdown Contest! A CAR WORTH OVER RM100K! 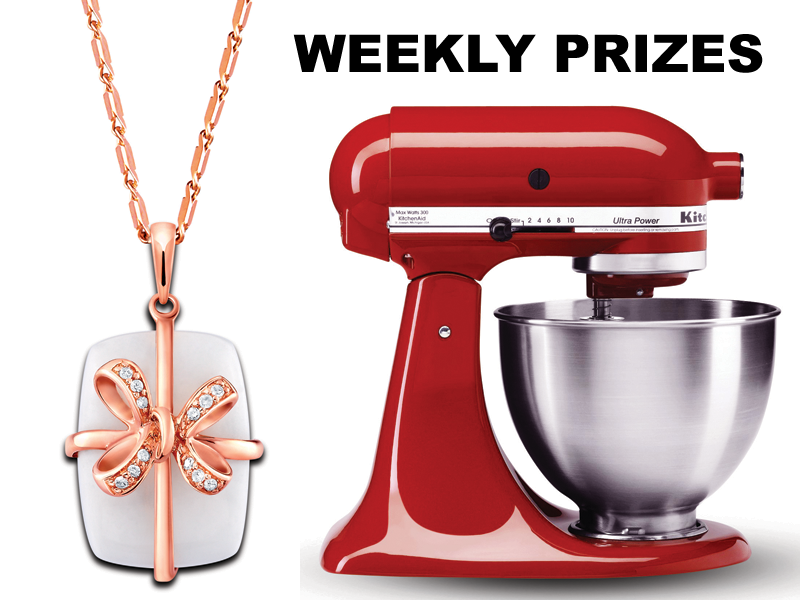 A mystery prize will be revealed every week on L'Oreal Paris Facebook Page and they could be kitchen appliances or jewellery from Poh Kong that worths RM 7500 in total! Remember to stalk on L'Oreal Paris Facebook Page and get to know what is the mystery gift every week! You read it right! You can win daily prizes from the contest! 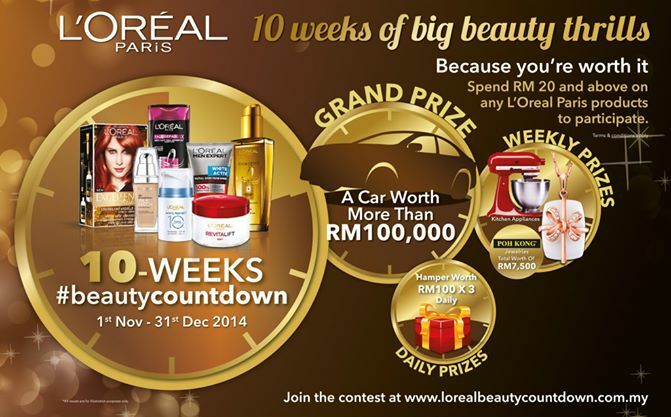 There will be 3 L'Oreal Paris Hampers worth over RM100 can be won in daily basis till 31 December 2014. Don't wait till last minute and join the contest, you may end up disappoint yourself from missing out all the awesome prizes from L'OREAL Paris Beauty Countdown Contest. 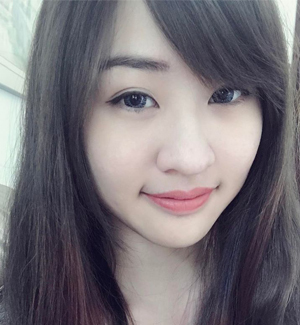 Join the Beauty Contest Now!